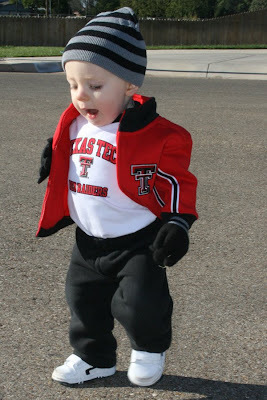 I put on Milo's Texas Tech outfit today to show his school pride and he was so stinkin' cute I could not resist sharing pics! 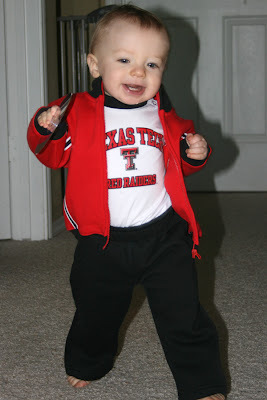 Go Tech!!! 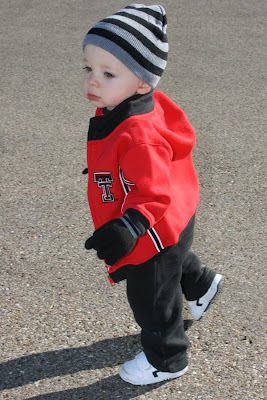 Strutting his Red Raider Pride! 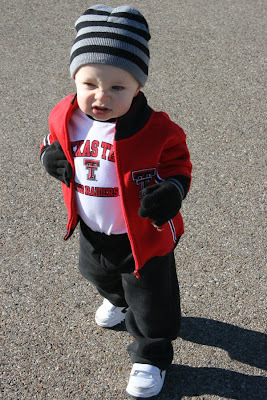 I took him outside to walk around and show off his spirit to the neighborhood. 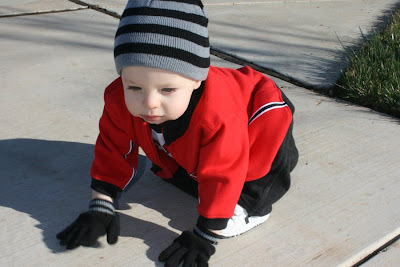 At first he didn't want to walk, it took a little coaxing. He has actually been snarling like this a lot lately. 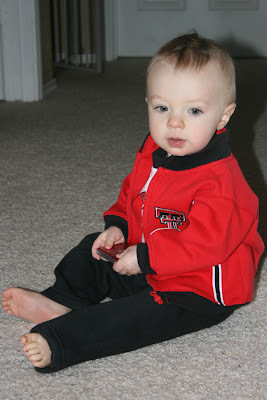 Sometimes he does it in place of a smile. 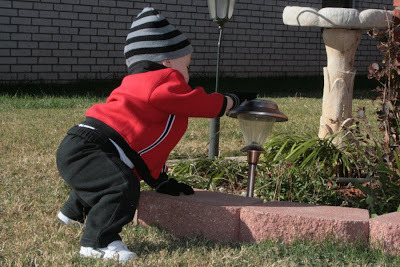 He got distracted by the neighbor's flower bed decorations. I particularly love the "snarl." 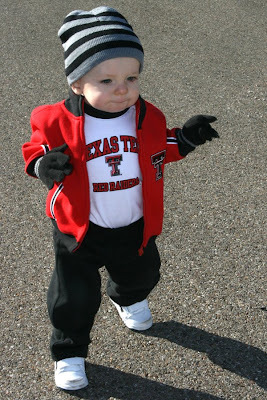 He is the cutest little Red Raider I have ever seen! 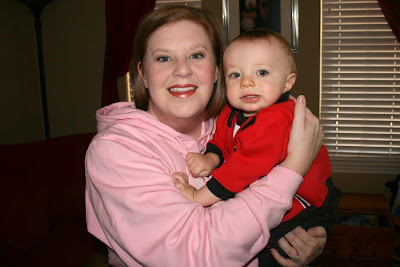 Love his sweet smile!